Learn how you can get pre-approved for a mortgage. Find out why this simple letter is crucial toward getting a home loan and buying your dream house. Before you start shopping for a home, you have to show that you can get a loan. A pre-approval letter shows sellers that you have already secured financing. It shows you're dedicated and less likely to back out of a purchase contract. Without it, you may even lose out on your dream home to other buyers who do have one. 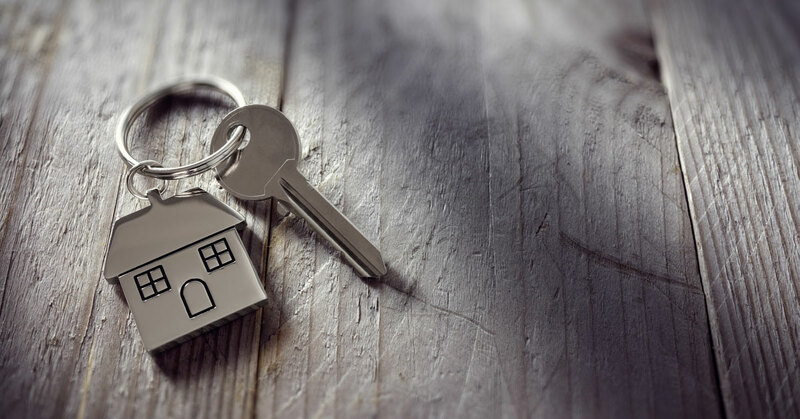 Read on to learn what it is, why it's so important, and how to secure a mortgage pre-approval. To get a mortgage pre-approval, you must fill out a loan application. You will need to provide personal and financial information, including: your income, employment history, assets, and debts. The lender will also look at your credit to evaluate your eligibility. The lender will then issue a letter telling you whether you've been pre-approved and for what loan amount. There is a big difference between a pre-approval and a final commitment. The final commitment doesn't occur until you meet the underwriter's requirements. A pre-approval is a preliminary look at your finances, assets, credit, and debt. After you sign a contract, the underwriter will take a deeper look at these items. They will also need a property address. The type of home, location, and value all play a role in the final approval. 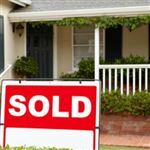 The lender also needs to ensure the home has a clean title and passes inspection. If you haven't found a home yet, these details remain unknown. Pre-approval vs. Pre-qualification: Don't confuse pre-approval with pre-qualification. A pre-qualification is an estimate of what you may qualify to receive. It does not look at your individual factors. You don't have to verify your income, assets, or job details. You can secure a pre-qualification online through an automated system. It only takes a few seconds. Realtors and sellers do not take it as seriously as a pre-approval. If you are serious about purchasing, take the extra step to secure a pre-approval. It saves you time overall, and the effort of shopping for homes that are not in your price range. When to Get Pre Approved for Mortgage? You should get a pre-approval letter before you begin shopping for a home. Having the pre-approval will ensure you aren't shopping outside of your price range. And it will provide the seller with proof of your intent to purchase. Look at your employment history. Old school rules required you to have the same job for at least 2 years. Today, you can secure a mortgage without a 2-year job history. However, the more stable your employment, the better your chances of approval. If your job is too new (a month or two), wait until you have a longer job history. Most lenders don't like "job hoppers" - people with several jobs in the last year or two. Get your credit score. The higher your credit score, the better your chances of approval. Credit scores range from 300 to 850. Scores above 650 generally have a better chance of approval. Find your most recent W-2s. You may also need your tax returns. The lender needs to calculate your income. They also need to see how much your income changed over the last few years. Large decreases in income over the last 2 years are a red flag. Large expenses due to your job or business also affect your qualifying income. If you are self-employed, or have non-salaried side income, lenders will require your tax returns for one to two years, and will evaluate your income regularity and sources. They will also examine your assets and savings. Look at your asset statements. Do you have any recent large deposits? You will need to explain them. Seasoned money, or money sitting in your account for at least six months, poses a lower risk to lenders. They also want to make sure you have enough of your own money for the down payment and closing costs. Gather up any documents you have pertaining to any collections or judgments against you. Many loan programs require you to pay them off before closing on your loan. If you don't agree with their legitimacy, you will need proof of the fact that they are not your liability. Another part of your homework is to find the right lender. Because banks are in business to make money, you should shop around. They make money off the interest you pay on your loan. Some lenders also make money off the points they charge on the loan. You may find different quotes between lenders. As a rule, obtaining quotes from 3 lenders provides the best results. Did you know: A low mortgage rate can mean the difference of thousands of dollars over the life of the loan. 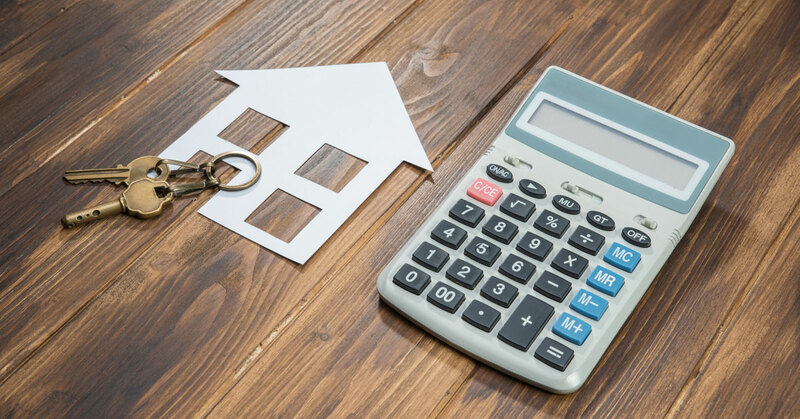 A $200,000 home with a mortgage rate of 4.0% will cost you $143,739 while the same home with a mortgage rate of 3.625% will cost you $128,357 in interest over the life of the loan. A $15,382 difference with just a .375% difference in mortgage rate. You may want to try different types of lenders, though. For example, large traditional banks may have fewer programs available that fit your needs. Private banks, on the other hand, may have more options for you. Consider contacting a few of each to find the best program for you. That way, you can compare the loan programs and charges against one another. Each lender you apply with must provide you with a Loan Estimate. Legally, they must provide it within 3 business days of turning in your application. Use this document to determine which loan has the most affordable terms for you. Don't just focus on the interest rate, though. Look at the fees, terms of the loan, and the fine print. You want to watch out for prepayment penalties, excessive fees, or interest rates that are higher than necessary. Your real estate agent may also be of assistance in helping you to find a mortgage. 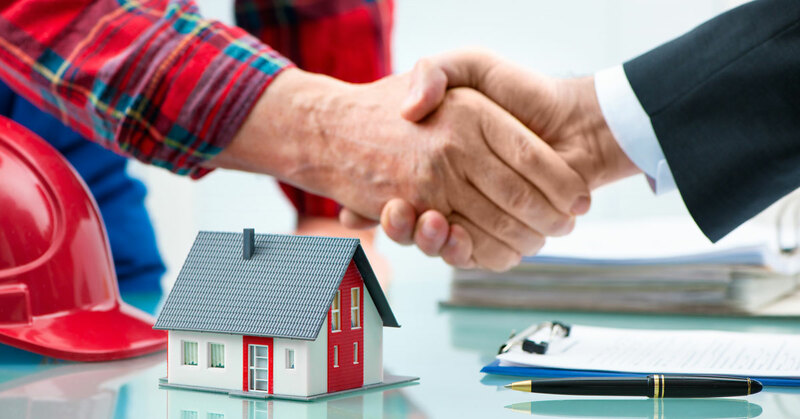 Many real estate brokerages have arrangements with independent mortgage brokers, who can connect you to different types of loans and lenders. They also use the services of mortgage brokers to determine how much you can afford, and give you realistic expectations. There is no obligation to obtain a mortgage from these professionals. The lender will need to pull your credit history in order to do the pre-approval. This will trigger a hard inquiry and will ding your credit score a little. However, the credit bureaus understand you're shopping around. So within a 45-day window, they will treat all credit checks from mortgage lenders as one single hard pull. What qualifies you to be a first-time home buyer? There are many assistance programs for first time home buyers. The official definition of a first-time home buyer is that you have not owned a home in the past 3 years. A single parent or displaced homemaker could have had joint ownership with a spouse, and can still be considered a first-time home buyer. Once you do the preliminary work, you are ready to secure a pre-approval from a lender. Because you did your homework, you should have the necessary documents to provide the loan officer. Your chances of getting pre approved for a mortgage can change quickly if you're not careful. To increase your chances look into improving your debt to income ratio. Check on your credit score and increase it if needed. And make sure you watch your credit card balance. Once you sign and turn in the application, you give the lender the approval to pull your credit. This is how the process begins. The lender evaluates your credit history. This is how they determine if you are a good candidate for any of their loan programs. If your credit meets their standards, they will require proof of your qualifying factors. These are the documents you should have already pulled out and evaluated. Generally, lenders need 2 pay stubs, 2 years of W-2s, and sometimes tax returns for the last 2 years. Did You Know: You may need to provide tax returns to the lender. If you run your own company, the lender needs to see your income and expenses. If you make 25% of your income in commission, you need to provide tax returns as well. The lender must consider expenses related to your job to determine your qualifying income. The lender will also need to verify your assets. They need liquid assets, such as checking accounts, savings accounts, stocks, mutual funds, or bonds. They will look at your assets in several ways. First, they need proof that you have the money for the down payment you say you will put down. They will also need to verify that you have enough money for closing costs and any necessary reserves. Did You Know: Cash reserves are funds the lender requires you to have on hand in the event your income stops. They count cash reserves based on the number of months' worth of mortgage payments you can cover with it. You need money to cover more than the principal and interest. You also need to cover the real estate taxes, homeowner's insurance, and mortgage insurance. Once the lender evaluates each of these documents, they will determine if you are eligible for a mortgage. If you are, they will create the pre-approval letter with the necessary details as described above. Keep in mind that the pre-approval letter is only good for a short amount of time. Typically, the longest is 90 days. If you don't sign a sales contract between now and then, you will have to start the process over again. 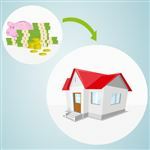 Lenders do this because a lot can change financially for a person within 3 months. They cannot provide a pre-approval with an indefinite expiration date. How long does it usually take to get pre-approved for a mortgage? As soon as you have submitted your pre-approval application, the bank or lender must verify your financial records and return a decision within 3 days. You will either get an "approve" or "refer". This could be as fast as the same day. Making large purchases on credit. The higher your debts become, the less likely it is you can keep your pre-approval. A large purchase affects your debt ratio as well as your credit score. Opening new credit lines. New credit means more debt. This can bring your credit score down. Significantly changing your credit history. Paying your debts down could bring your credit score down. The algorithm used to come up with a credit score is complicated. If you drudge up an old debt by paying it off now, your credit score could drop despite your effort at making things right. Making unusual deposits. The bank verifies your assets several times during the loan process. Large or inconsistent deposits could raise a red flag. You have to prove where the money came from. You may have to prove you did not incur new debts to obtain the money as well. Note: Be careful when using mortgage calculators. They may not take into actual property taxes, HOA fees, or a down payment amount. This can give you inaccurate information and have you shopping outside of your financial means. Securing a pre-approval makes shopping for a home easier. It gives you access to more real estate showings. It also gives you an advantage in a bidding war. The pre-approval also helps you understand what you can afford. This way, you can pare down your search to stick within your budget. It certainly makes shopping for a home easier when you know what you can afford! Check your credit score. If your score is below 650 take steps to increasing it before getting a pre-approval. Scores above 650 have a better chance of getting a lower interest rate. Ensure you have a steady income. 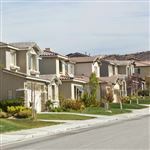 Lenders want to see that your income is steady and you're not at risk for a large drop in income. Collect documentation. You're going to need to be organized. So having your bank statements, W-2s, and pay stubs readily accessible is smart. Shop around. It is a good rule of thumb to get quotes from 3 different lenders before making your decision. Leave a comment about Pre Approval Mortgage: What You Need to Know? Share on Facebook "Pre Approval Mortgage: What You Need to Know"